When buying or selling a Moped in Kansas you always want to document the transfer of vehicle ownership from the seller to the buyer. Typically this is done by signing the “Transfer by Owner” or “Assignment” section on the rear of the original title. 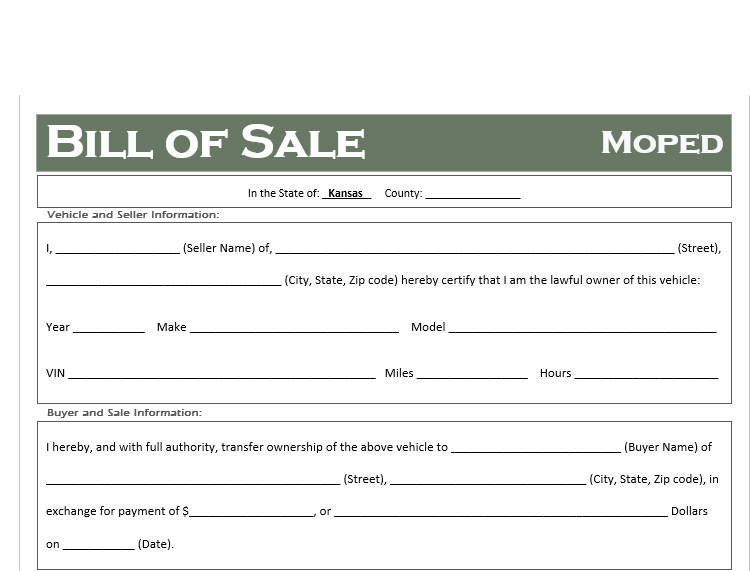 We also suggest securing a Kansas bill of sale to properly document the sale including the sales price, condition of the vehicle, and hold harmless language to protect the buyer and seller.